The only reference I could find to the OB United Church proposal was this thread so here is where I will vent on those sniveling, whining crybabies in OB who oppose this development; my favorite comment comes from one Diana Butler, ex-mayor of "Ye Olde Musty Stick in the Mud & Crappy Clone of the Blighty of Yore", aka Oak Bay. "...My_GOD Margie - DEVELOPMENT!?!?!?!? RENTAL HOUSING????!?!?!?! Here?! In OAK BAY??????? In the 21st Century?!?! Well_I_NEVER......!! The Horror, the Horror....!!!!!! NIMBYs always profess sympathy for the plight of young families, seniors and the high cost of housing; it's just there is always someplace better for these sorts of projects than their neighbourhoods. In reality though, where else in Oak Bay would rental housing be better suited than one block away from the 2, 3, 7, and 8 bus routes, future protected bike lanes along Oak Bay Ave, and an incredibly short walking distance to Oak Bay Village? Really, where do they think rental housing should go in Oak Bay? Or do they not really believe that Oak Bay should contribute in any way to providing homes in a time when they're desperately needed? Edited by Brantastic, 27 February 2019 - 08:30 AM. ...Really, where do they think rental housing should go in Oak Bay? Or do they not really believe that Oak Bay should contribute in any way to providing homes in a time when they're desperately needed? If the opponents were being truly honest, I think they'd have to admit they don't think "affordable" housing is suitable for Oak Bay. 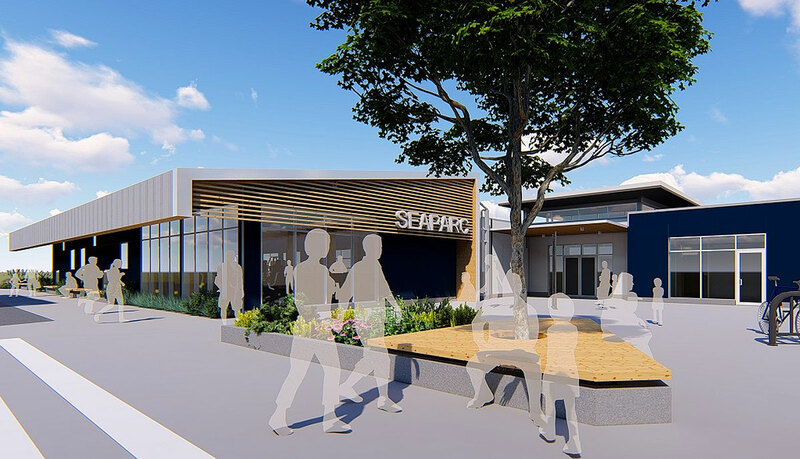 An artist's rendering of a $3.4 million addition to Sooke's SEAPARC Leisure Complex on Phillips Road. The 5,150 square foot addition will include a new gym to the Westshore community, together with a movement room and a child care space.